Can you hear little footsteps running along your roof? You may have roof pests living in your home. Unfortunately, pests love your dry roof as much as you do. And when they find a way in, it’s often difficult to get them out and keep them out without professional help. So if you think you have a new unwanted roommate in your attic, try these 4 ways to eliminate roof pests and keep them out. When you have pests on your roof, you need a way to get them out before they cause any damage. Baiting and trapping methods can be used to eliminate a number of vermin with a variety of different options on the market. However, if it’s possible, the more humane option is to catch the pests in a trap and release them away from your home. You can find a trap at your local hardware store or from a roofing company. Once you remove the pests from your home, you need to prevent it from happening again. One of the most common entry points for vermin is through small holes that exist on your roof or gaps between the shingles or flashing. 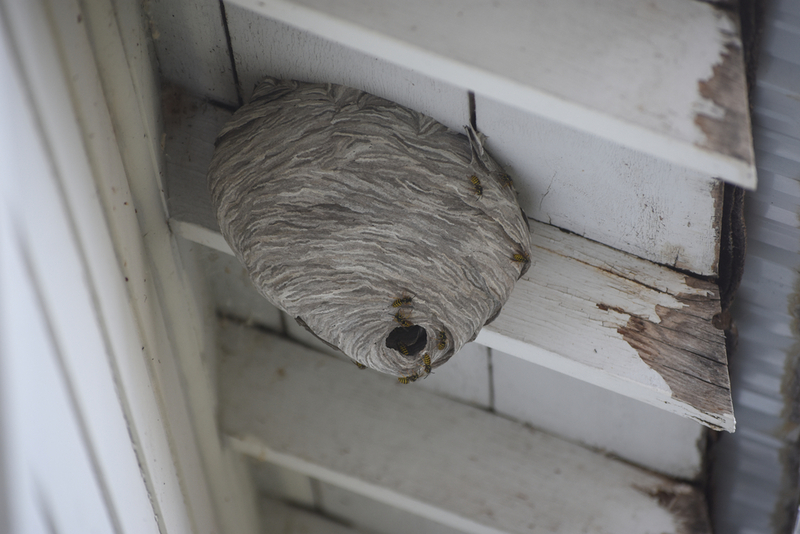 To stop pests from squeezing through, you need to take specific measures to seal off any entry points on the roof. You can use caulking to reseal any lose materials, but if there is a large hole or damaged materials, then you should call a professional roofing company to seal the area properly. Wildlife appreciates the opening on your vents as a nesting spot as much as you enjoy them to vent the humidity from your home. It’s not uncommon for rats, raccoons, squirrels, and bugs to enter your roof vent and eventually make their way into your home. But by installing a vent screen, you can block out the pests and keep them out for good. Pests also love entering your home through your chimney. But you can easily prevent this by using a chimney cap or screen to protect your fireplace. And when you aren’t using your fireplace, remember to close your chimney’s flue. This will also prevent rodents, birds, bats and other pests from gaining access to your home. If roof repair or setting traps isn’t your thing, call us at Roofmaster. Our professional roofing team can install all the necessary measures needed to keep your home pest-free during the winter.